An army of virgin bodyguards, a voluptuous blonde nurse and a professional footballer son. 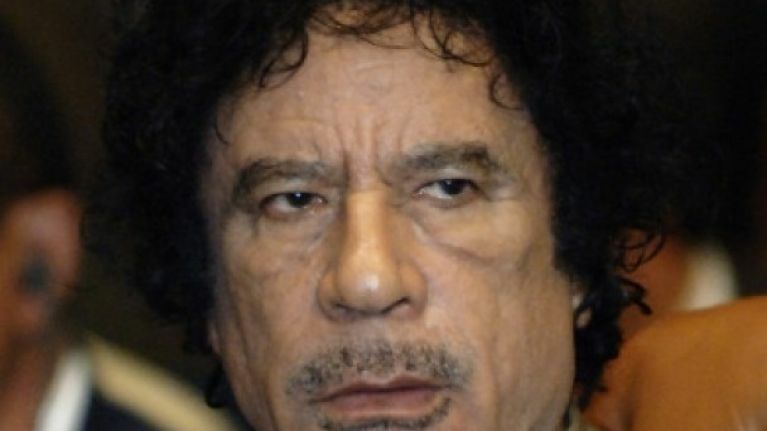 JOE takes a closer look at Libyan leader, Colonel Gaddafi. The world media has only just begun to put the Egypt crisis to bed and sign off on former President Mubarak’s decline when we have another tyrannical leader on our hands – Muammar al-Gaddafi, better known as Colonel Gaddafi. Gaddafi has been labelled as a “mad dog”, unleashing mercenaries and murder squads to terrorise and kill unarmed protesters demanding democracy. "It looks like Libya's leader may have ordered his forces to put down the protests virtually at any cost, and that cost is being paid in the lives of Libyans," said Malcolm Smart, Amnesty International Director for the Middle East and North Africa, as more than 100 people have already been killed due to unrest. Meanwhile, his son, Saif al-Islam, has warned of a civil war breaking out in Libya. Anyway, Gaddafi has turned out to be a bad egg and we take a look at five things you may not already know about the "Brotherly Leader and Guide of the Revolution". It's believed that the Colonel has a 40-member group of female bodyguards at all times. They are trained in the use of firearms and are killing machines. They are all supposed to be virgins and take a vow of chastity before entering service. On foreign visits he prefers to sleep outside in a Bedouin tent and has been known to take camels along on his visits for their milk. He fears flying over water and prefers to stay on the ground floor of a hotel - that is if he can’t put up his tent! His son Saadi is a former professional football player. He was captain of the national team and signed for no fewer than three Italian clubs. However, during his career in Italy he made only two appearances. Gaddafi has a nurse who travels almost everywhere with him. She is a voluptuous blonde from the Ukraine and there are rumours that there may more than temperature taking going on between them. She is the only one who knows his full routine.